The United States also called for an international scientific conference on all of the peaceful aspects of nuclear power. By November 1954, it had become clear that the Soviet Union would reject any international custody of fissile material if the United States did not agree to a disarmament first, but that a clearing house for nuclear transactions might be possible. From 8 to 20 August 1955, the United Nations held the International Conference on the Peaceful Uses of Atomic Energy in Geneva, Switzerland. In October 1957, a Conference on the IAEA Statute was held at the Headquarters of the United Nations to approve the founding document for the IAEA, which was negotiated in 1955–1957 by a group of twelve countries. The Statute of the IAEA was approved on 23 October 1956 and came into force on 29 July 1957. Former US Congressman W. Sterling Cole served as the IAEA's first Director General from 1957 to 1961. Cole served only one term, after which the IAEA was headed by two Swedes for nearly four decades: the scientist Sigvard Eklund held the job from 1961 to 1981, followed by former Swedish Foreign Minister Hans Blix, who served from 1981 to 1997. Blix was succeeded as Director General by Mohamed ElBaradei of Egypt, who served until November 2009. Beginning in 1986, in response to the nuclear reactor explosion and disaster near Chernobyl, Ukraine, the IAEA increased its efforts in the field of nuclear safety. The same happened after the 2011 Fukushima disaster in Fukushima, Japan. The IAEA's mission is guided by the interests and needs of Member States, strategic plans and the vision embodied in the IAEA Statute (see below). Three main pillars – or areas of work – underpin the IAEA's mission: Safety and Security; Science and Technology; and Safeguards and Verification. The IAEA as an autonomous organisation is not under direct control of the UN, but the IAEA does report to both the UN General Assembly and Security Council. Unlike most other specialised international agencies, the IAEA does much of its work with the Security Council, and not with the United Nations Economic and Social Council. The structure and functions of the IAEA are defined by its founding document, the IAEA Statute (see below). The IAEA has three main bodies: the Board of Governors, the General Conference, and the Secretariat. The IAEA recognises knowledge as the nuclear energy industry's most valuable asset and resource, without which the industry cannot operate safely and economically. Following the IAEA General Conference since 2002 resolutions the Nuclear Knowledge Management, a formal programme was established to address Member States' priorities in the 21st century. The Board of Governors is one of two policy making bodies of the IAEA. The Board consists of 22 member states elected by the General Conference, and at least 10 member states nominated by the outgoing Board. The outgoing Board designates the ten members who are the most advanced in atomic energy technology, plus the most advanced members from any of the following areas that are not represented by the first ten: North America, Latin America, Western Europe, Eastern Europe, Africa, Middle East and South Asia, South East Asia, the Pacific, and the Far East. These members are designated for one year terms. The General Conference elects 22 members from the remaining nations to two-year terms. Eleven are elected each year. The 22 elected members must also represent a stipulated geographic diversity. The 35 Board members for the 2018–2019 period are: Argentina, Armenia, Australia, Azerbaijan, Belgium, Brazil, Canada, Chile, China, Ecuador, Egypt, France, Germany, India, Indonesia, Italy, Japan, Jordan, Kenya, the Republic of Korea, Morocco, the Netherlands, Niger, Pakistan, Portugal, the Russian Federation, Serbia, South Africa, the Sudan, Sweden, Thailand, the United Kingdom of Great Britain and Northern Ireland, the United States of America, Uruguay and the Bolivarian Republic of Venezuela. The General Conference is made up of all 171 member states. It meets once a year, typically in September, to approve the actions and budgets passed on from the Board of Governors. The General Conference also approves the nominee for Director General and requests reports from the Board on issues in question (Statute). Each member receives one vote. Issues of budget, Statute amendment and suspension of a member's privileges require a two- thirds majority and all other issues require a simple majority. Similar to the Board, the General Conference can, by simple majority, designate issues to require a two- thirds majority. The General Conference elects a President at each annual meeting to facilitate an effective meeting. The President only serves for the duration of the session (Statute). Article II of the IAEA Statute defines the Agency's twin objectives as promoting peaceful uses of atomic energy and "ensur[ing], so far as it is able, that assistance provided by it or at its request or under its supervision or control is not used in such a way as to further any military purpose." To do this, the IAEA is authorised in Article III.A.5 of the Statute "to establish and administer safeguards designed to ensure that special fissionable and other materials, services, equipment, facilities, and information made available by the Agency or at its request or under its supervision or control are not used in such a way as to further any military purpose; and to apply safeguards, at the request of the parties, to any bilateral or multilateral arrangement, or at the request of a State, to any of that State's activities in the field of atomic energy." The IAEA classifies safety as one of its top three priorities. It spends 8.9 percent of its 352 million-euro ($469 million) regular budget in 2011 on making plants secure from accidents. Its resources are used on the other two priorities: technical co-operation and preventing nuclear weapons proliferation. In June 2011, the IAEA chief said he had "broad support for his plan to strengthen international safety checks on nuclear power plants to help avoid any repeat of Japan's Fukushima crisis". Peer-reviewed safety checks on reactors worldwide, organised by the IAEA, have been proposed. It recommends safety standards, but member states are not required to comply; it promotes nuclear energy, but it also monitors nuclear use; it is the sole global organisation overseeing the nuclear energy industry, yet it is also weighed down by checking compliance with the Nuclear Non-Proliferation Treaty (NPT). The IAEA has 171 member states. 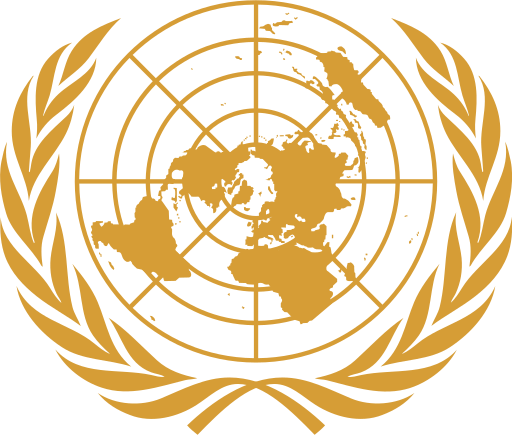 Most UN members and the Holy See are Member States of the IAEA. Non-member states Cape Verde (2007), Tonga (2011), Comoros (2014) and Gambia (2016) have been approved for membership and will become a Member State if they deposit the necessary legal instruments. Four states have withdrawn from the IAEA. North Korea was a Member State from 1974 to 1994, but withdrew after the Board of Governors found it in non-compliance with its safeguards agreement and suspended most technical co-operation. Nicaragua became a member in 1957, withdrew its membership in 1970, and rejoined in 1977, Honduras joined in 1957, withdrew in 1967, and rejoined in 2003, while Cambodia joined in 1958, withdrew in 2003, and rejoined in 2009. ^ a b "IAEA Offices and Contact Information". International Atomic Energy Agency. International Atomic Energy Agency. n.d. Retrieved 29 November 2018. ^ "Statute of the IAEA". IAEA. Retrieved 16 November 2013. ^ a b Fischer, David (1997). History of the International Atomic Energy Agency: The First Forty Years (PDF). ISBN 978-92-0-102397-1. ^ William Burr, ed. (October 26, 2017). "60th Anniversary of the International Atomic Energy Agency". National Security Archive. Retrieved August 2, 2018. ^ "About the Statute of the IAEA". IAEA. ^ "About the IAEA: Former DG's". IAEA. ^ a b Fischer, David (1997). History of the International Atomic Energy Agency: The First Forty Years (PDF). Vienna, Austria: International Atomic Energy Agency. pp. 2, 108–109. ISBN 978-92-0-102397-1. The Three Mile Island accident and especially the Chernobyl disaster persuaded governments to strengthen the IAEA's role in enhancing nuclear safety. ^ a b "IAEA Nuclear Safety Action Plan Approved by General Conference". International Atomic Energy Agency. Retrieved 2 November 2013. ^ ElBaradei, Mohamed (10 December 2005). "The Nobel Lecture". IAEA. Archived from the original on 7 October 2012. Retrieved 16 November 2013. ^ "Japanese Diplomat Elected U.N. Nuclear Chief". The New York Times. 2 July 2009. Archived from the original on 11 May 2011. ^ "Amano in the frame for IAEA leadership". World Nuclear News. 2 July 2009. Retrieved 2 July 2009. ^ "Yukiya Amano says 'very pleased' at IAEA election". The News. 2 July 2009. Archived from the original on 11 May 2011. Retrieved 2 July 2009. ^ "Japan envoy wins UN nuclear post". BBC. 2 July 2009. Retrieved 2 July 2009. ^ "Programme of Action for Cancer Therapy". IAEA. Retrieved 16 November 2013. ^ Nuclear Power Infrastructure, the Integrated Nuclear Infrastructure Group (INIG), International Atomic Energy Agency. ^ "IAEA Ready to Help Build Nuclear Power Plant Indonesia". Trendingtech.info. Archived from the original on 1 January 2011. ^ IAEA Highlights in 2010, A Retrospective View of Year's Major Events. ^ "The Board of Governors is one of the two policy-making bodies of the IAEA, along with the annual General Conference of IAEA Member States". www.iaea.org. 8 June 2016. ^ a b "IAEA Regular Budget for 2014". Retrieved 7 June 2014. ^ "The IAEA Mission Statement". IAEA. Retrieved 29 January 2012. ^ "About the Nuclear Energy Department". IAEA. Retrieved 29 January 2012. ^ "Nuclear Techniques for Development and Environmental Protection". IAEA. Retrieved 29 January 2012. ^ "About Technical Cooperation". IAEA. Retrieved 29 January 2012. ^ "What We Do". IAEA. Retrieved 29 January 2012. ^ Jonathan Tirone (9 December 2011). "UN Atomic Agency Funds Anti-Terrorism, Not Safety". Bloomberg. ^ Sylvia Westall and Fredrik Dahl (24 June 2011). "IAEA Head Sees Wide Support for Stricter Nuclear Plant Safety". Reuters. ^ Michael Shields (15 March 2011). "Chernobyl clean-up expert slams Japan, IAEA". Reuters. ^ a b Geoff Brumfiel (26 April 2011). "Nuclear agency faces reform calls". Nature. ^ a b Stephen Kurczy (17 March 2011). "Japan nuclear crisis sparks calls for IAEA reform". The Christian Science Monitor. ^ "A watchdog with bite". Nature. 472 (7344): 389. 28 April 2011. doi:10.1038/472389a. ^ "Process of becoming a member state of the IAEA". IAEA. Retrieved 16 November 2013. ^ a b "Member States of the IAEA". International Atomic Energy Agency. Retrieved 16 September 2013. ^ "NFCIRC/447 – The Withdrawal of the Democratic People's Republic of Korea from the International Atomic Energy Agency" (PDF). International Atomic Energy Agency. 21 June 1994. Retrieved 16 January 2014. ^ "The Members of the Agency" (PDF). International Atomic Energy Agency. 10 February 2005. Retrieved 3 November 2014. ^ "Actions taken by states in connection with the Statute" (PDF). International Atomic Energy Agency. 9 July 1971. Retrieved 14 February 2015. ^ "Actions taken by states in connection with the Statute" (PDF). International Atomic Energy Agency. 18 September 1967. Retrieved 14 February 2015. ^ "Cambodia, Kingdom of". International Atomic Energy Agency. Retrieved 10 September 2013. ^ "The Members of the Agency" (PDF). International Atomic Energy Agency. 6 May 2003. Retrieved 14 February 2015. ^ "The Members of the Agency" (PDF). International Atomic Energy Agency. 9 December 2009. Retrieved 3 November 2014. ^ "List of States". www.afra-iaea.org.dz. AFRA - IAEA. Retrieved 20 April 2017. ^ "Our Work: ARASIA". www.iaea.org. Retrieved 20 April 2017. ^ "Our Work: RCA". www.iaea.org. International Atomic Energy Agency. Retrieved 20 April 2017. ^ "Miembros(Members) ARCAL". www.arcal-lac.org (in Spanish). arcal-lac. Retrieved 20 April 2017. The 2005 Nobel Peace Prize was awarded to International Atomic Energy Agency and Mohamed ElBaradei "for their efforts to prevent nuclear energy from being used for military purposes and to ensure that nuclear energy for peaceful purposes is used in the safest possible way". Ali Akbar Salehi (Persian: علی‌اکبر صالحی‎, pronunciation ; born 24 March 1949) is an Iranian academic, diplomat and the head of Atomic Energy Organization of Iran. He served as head of AEOI from 2009 to 2010 and was appointed to the post for a second time on 16 August 2013. Before his appointment of his current position, he was foreign affairs minister from 2010 to 2013. He was also the Iranian representative in the International Atomic Energy Agency from 1998 to 2003. Ali Asghar Soltanieh pronunciation (Persian: علی‌اصغر سلطانیه‎, born 1 October 1950) was Iran's ambassador to the International Atomic Energy Agency in Vienna. He served the position from 1982 to 1987 and for a second term in 2006 until 2013. Bhyravabhotla Radhakrishna Murty (1928–2003) was an Indian botanist, known for his contributions the fields of Conservation genetics and Radiation genetics. He was a professor of Biochemistry Division at Indian Agricultural Research Institute, Pusa and was an elected fellow of Indian Academy of Sciences and the Indian National Science Academy. The Council of Scientific and Industrial Research, the apex agency of the Government of India for scientific research, awarded him the Shanti Swarup Bhatnagar Prize for Science and Technology, one of the highest Indian science awards, in 1973, for his contributions to biological sciences. The Board of Governors of the International Atomic Energy Agency (IAEA) is one of the two policy making bodies of the IAEA, along with the annual General Conference of IAEA members. The Board, in its five yearly meetings, is responsible for making most of the policy of the IAEA. The Board makes recommendations to the General Conference on IAEA activities and budget, is responsible for publishing IAEA standards and appoints the Director General subject to General Conference approval. Criticality, is the state of a nuclear chain reacting medium when the chain reaction is just self-sustaining (or critical), that is, when the reactivity is zero. More loosely, the term is used for states in which the reactivity is greater than zero. Fereydoon Abbasi-Davani (Persian: فریدون عباسی دوانی‎; born 11 July 1958) is an Iranian nuclear scientist who was head of Atomic Energy Organization from 2011 to 2013. He survived an assassination attempt in 2010, but was seriously wounded. Hans Martin Blix (listen ; born 28 June 1928) is a Swedish diplomat and politician for the Liberal People's Party. He was Swedish Minister for Foreign Affairs (1978–1979) and later became the head of the International Atomic Energy Agency. As such, Blix was the first Western representative to inspect the consequences of the Chernobyl disaster in the Soviet Union on site, and led the agency response to them. Blix was also the head of the United Nations Monitoring, Verification and Inspection Commission from March 2000 to June 2003, when he was succeeded by Dimitris Perrikos. In 2002, the commission began searching Iraq for weapons of mass destruction, ultimately finding none. In February 2010, Blix became head of the United Arab Emirates' advisory board for its nuclear power program. International Atomic Energy Agency (IAEA) Safeguards are a system of inspection and verification of the peaceful uses of nuclear materials as part of the Nuclear Non-Proliferation Treaty (NPT), supervised by the International Atomic Energy Agency. The Statute of the International Atomic Energy Agency (IAEA) defines eight areas from which candidate governments for election to the IAEA Board of Governors are chosen. Unlike the regional groups from which leadership posts at the United Nations are filled, the memberships of the IAEA areas are not strictly defined. Far East, consisting of 6 states.Egypt has been alternately elected to the Board of Governors as a representative from both the African and the Middle East & South Asian areas. ICTP is part of the Trieste System, a network of national and international scientific institutes in Trieste, promoted by the Italian physicist Paolo Budinich. Dr. Mohamed Ibrahim Shaker (16 October 1933 – 29 March 2018), was an Egyptian diplomat and political scientist. Born in Egypt capital city, Cairo in 1933, he graduated in Cairo University in 1955 and completed his studies until he received his doctorate in political science from the Graduate Institute of International and Development Studies at the University of Geneva in 1975. From 1976 to 1980 he worked in the Embassy of Egypt in Washington, D.C.. On 22 August 1982, he became Ambassador to the International Atomic Energy Agency (IAEA) in New York and remained in this post until December 1983. He served as Egypt's Deputy Delegate to the United Nations Security Council in New York from 1984 to 1985. He was then appointed Ambassador of Egypt to Austria.Was member of the Board of Governors of the International Atomic Energy Agency (IAEA) in Vienna from 1986 to 1988. He served as Ambassador of Egypt to the United Kingdom from September 1988 to September 1997. He served as the General Representative of the International Atomic Energy Agency to the United Nations in New York and remained in office until December 1983. From January 1993 to December 1998 was a member of the Consultative Council of the United Nations Office for Disarmament Affairs. He also served as President of the Council in 1995 and as a member of the Technical Committee for Tillage Education (2001-2002). He was elected as Chairman of the Board of Directors of the National Organization for Management and Security. He was awarded by Order of the Republic in 1976, and the Order of Merit in 1983, both by the President of Egypt. He died on 29 March 2018, aged 84. Olli Heinonen (born in Finland) is Senior Advisor on Science and Nonproliferation at the Foundation for Defense of Democracies (FDD) and an associate of Harvard University's Belfer Center for Science and International Affairs. Previously, he was the Deputy Director-General for Safeguards at the International Atomic Energy Agency. As such, he helped identify A. Q. Khan. Heinonen studied radiochemistry at the University of Helsinki where he obtained his Ph.D with a dissertation on nuclear material analysis in 1981. As Senior Research Officer at the Technical Research Centre of Finland Reactor Laboratory, Heinonen was in charge of research and development related to nuclear waste solidification and disposal. Heinonen co-authored several patents on radioactive waste solidification. In 1983 he joined the IAEA. From 1999 to 2002, he was Director of Operations A and from 2002–2005, he was the Director of Operations B in the Department of Safeguards. Programme of Action for Cancer Therapy (PACT) is a programme created by the International Atomic Energy Agency (IAEA) in 2004 to build upon the Agency’s experience in radiation medicine and technology, and enable developing countries to introduce, expand or improve their cancer care capacity and services in a sustainable manner by integrating radiotherapy into a comprehensive cancer control programme that maximizes its therapeutic effectiveness and impact. Such a programme integrates and aligns cancer prevention, surveillance, screening and early detection, treatment and palliative care activities and investments, and is set up based on the Guidelines of the World Health Organization (WHO). It also addresses other challenges such as infrastructure gaps and, through partnerships, builds capacity and long term support for continuous education and training of cancer care professionals, as well as for community-based civil society action to combat cancer. PACT has its headquarters in Vienna, Austria. PACT and its partners are developing multidisciplinary cancer capacity building projects called PACT Model Demonstration Sites (PMDS). As of 2010, there are eight PMDS: Albania, Ghana, Mongolia, Nicaragua, Sri Lanka, United Republic of Tanzania, Vietnam and the Republic of Yemen. Rajagopala Chidambaram (born 12 November 1936) is an Indian Physicist who is known for his integral role in India's nuclear weapons program; he coordinated test preparation for the Pokhran-I (1975) and Pokhran-II (1998). Previously served as the principal scientific adviser to the federal Government of India, Chidambaram previously served as the director of the Bhabha Atomic Research Centre (BARC)— and later as chairman, Atomic Energy Commission of the Government of India and he contributed in providing national defence and energy security to India. Chidambaram was chairman of the board of Governors of the International Atomic Energy Agency (IAEA) during 1994–95. He was also a member of the Commission of Eminent Persons appointed by the Director-General, IAEA, in 2008 to prepare a report on "The Role of the IAEA to 2020 and Beyond". Throughout his career, Chidambaram played a key role in developing India's nuclear weapons, being a part of the team conducting the first Indian nuclear test (Smiling Buddha) at Pokhran Test Range in 1974. He gained international fame when he led and represented the team of the Department of Atomic Energy (DAE) while observing and leading efforts to conduct the second nuclear tests in May 1998. William Sterling Cole (April 18, 1904 – March 15, 1987) was an American politician, lawyer and civil servant, who served as the first Director General of the International Atomic Energy Agency from 1957 to 1961. Before his appointment to the IAEA he was a Republican member of the United States House of Representatives from New York. Yukiya Amano (天野 之弥, Amano Yukiya, born 9 May 1947) is a Japanese diplomat and the current Director General of the International Atomic Energy Agency (IAEA), having been elected to the position in July 2009. Amano previously served as an international civil servant for the United Nations and its subdivisions.